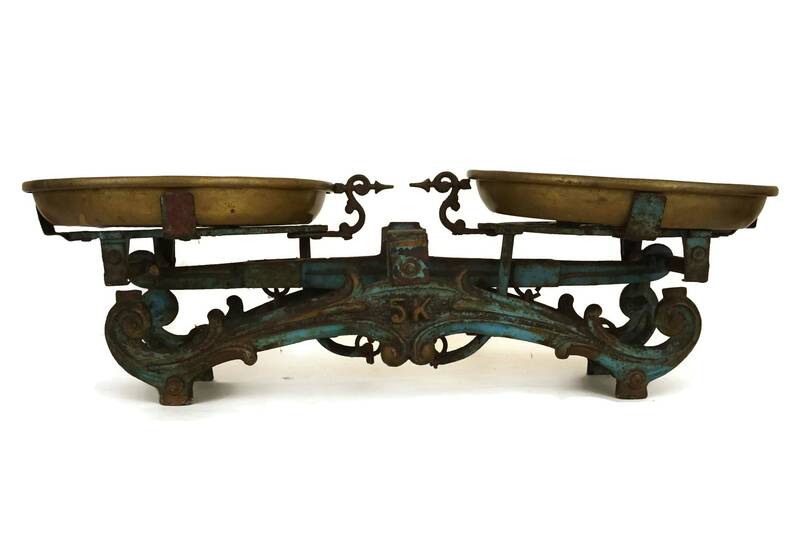 A beautiful antique cast iron scales made in France in the early 1900's. 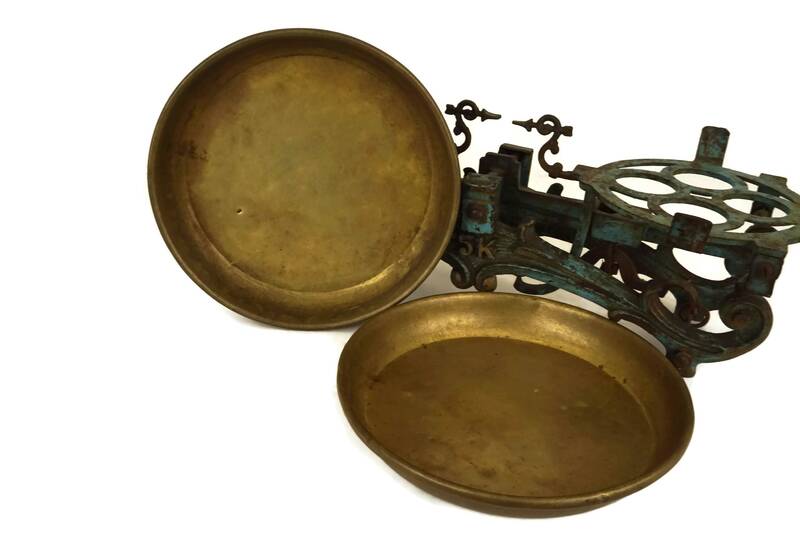 It features an elegant Art Nouveau design with brass measuring pans. 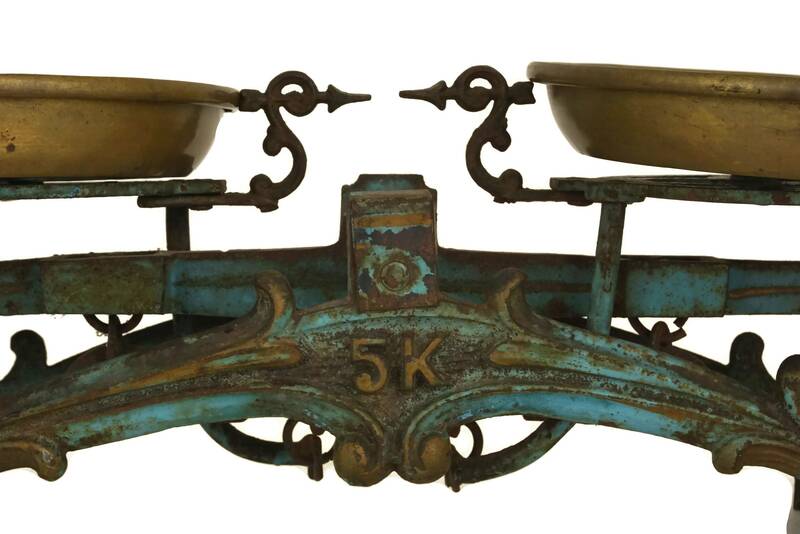 The scale was was originally used to weigh spices and dried goods in a French greengrocer shop. 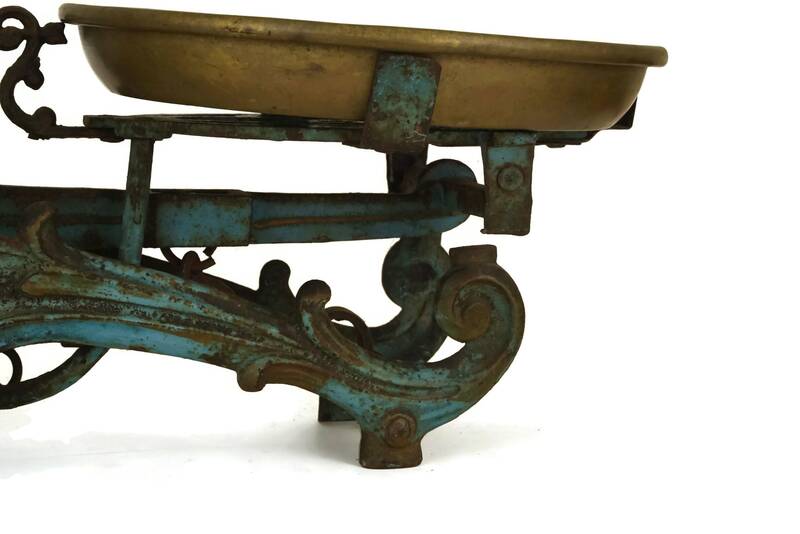 The iron base has been painted in a shade of classic French blue with gold-tone accents. 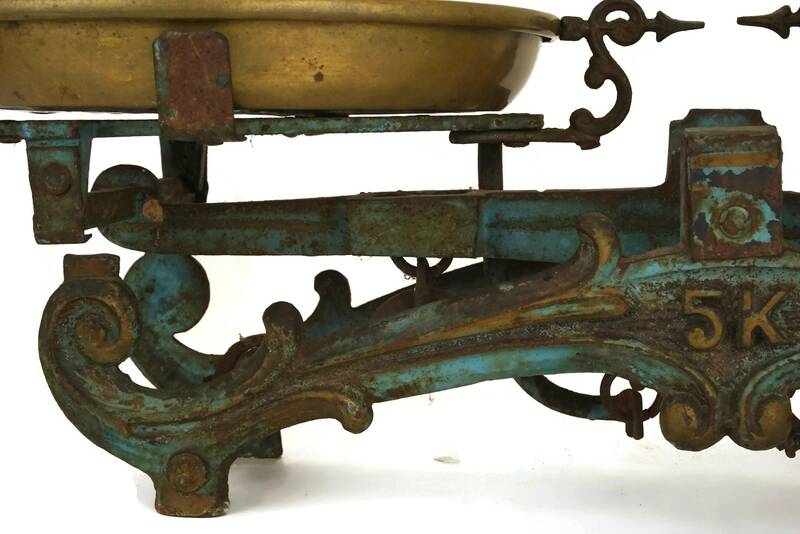 It has been stamped in French with the maximum measuring capacity of 5 kg. 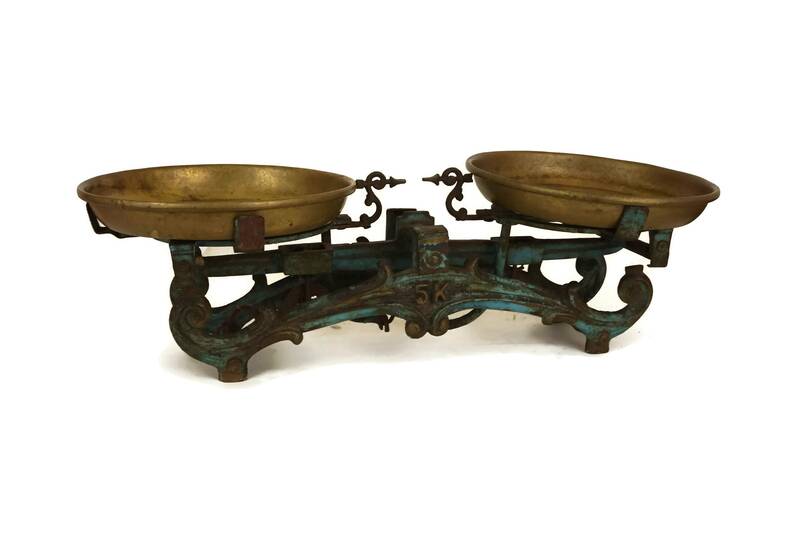 The antique cast iron scales will add a charming French touch to your country home decor or could be a unique foodie gift. 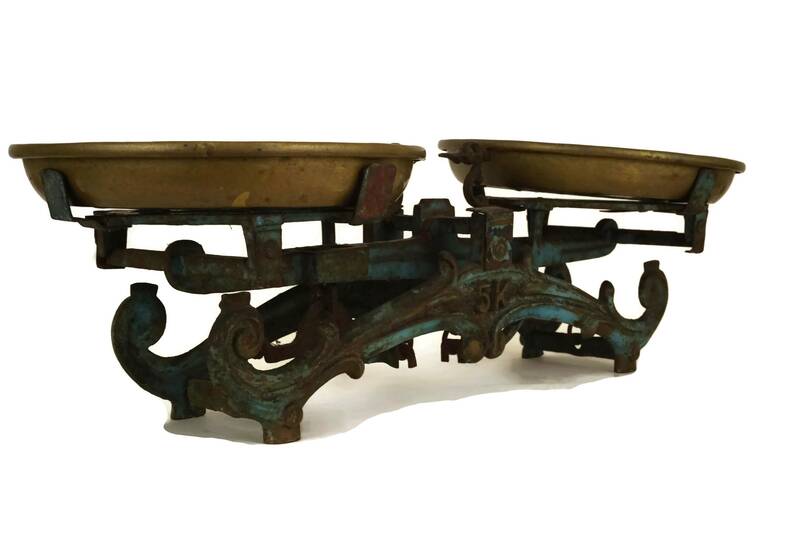 The cast iron and brass scales are in very good used condition and in working order. 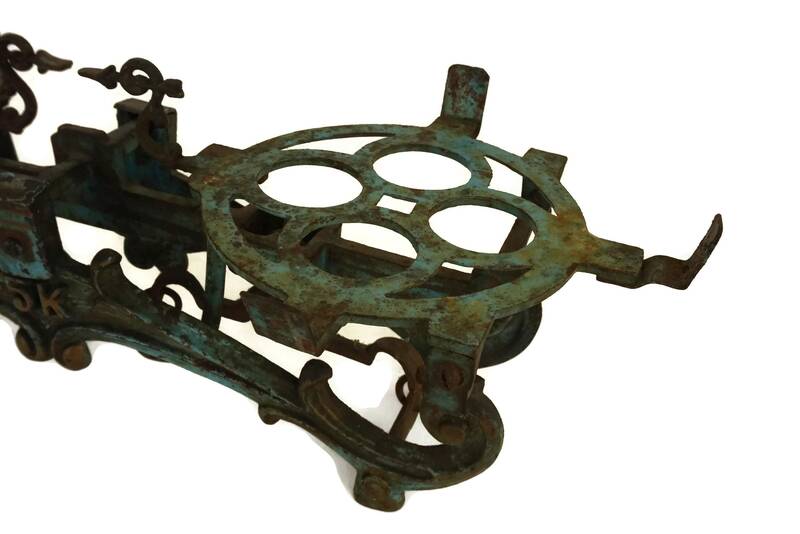 There is patina and flakes to the painted surface. 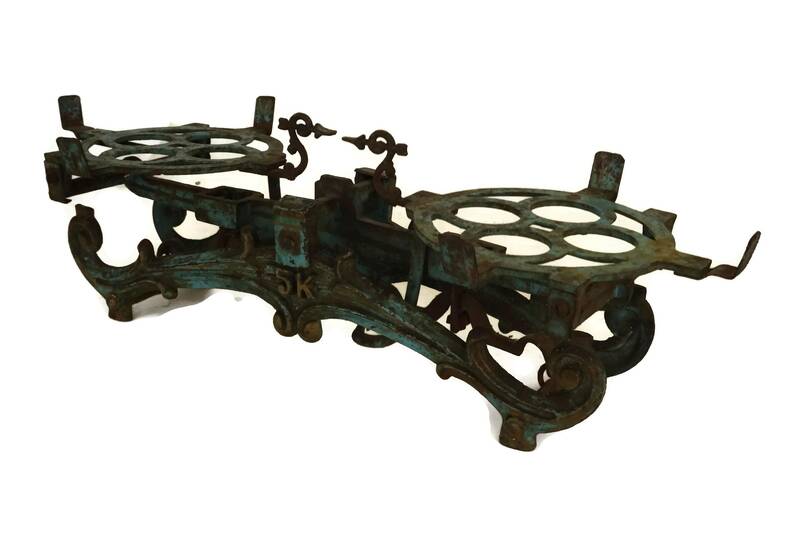 Loved working with this company! 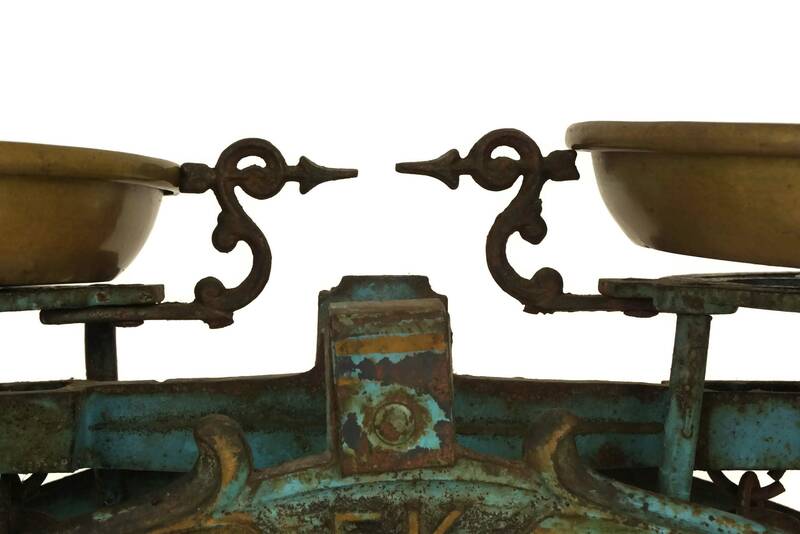 My scale is very unique and was pleased how fast it arrived from France. Will definitely work with this company again!